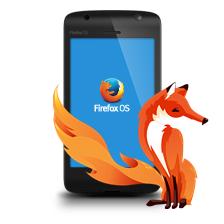 PDF Download for Firefox 2.2.0.2 is an extension that Nitro PDF Software created to deal with the problem of viewing PDF documents online. PDF Download für Firefox 2.2.0.2 is a lightweight PDF viewer extension that only provides the basic functions. The extension offers you several options when you encounter a PDF document online. You have the option of downloading the PDF document onto yout hard drive. If you change your mind about downloading the PDF, you can abort it. PDF Download für Firefox 2.2.0.2 gives you options to convert the online PDF file into an image or HTML. This allows you to view the content in the PDF quickly since it usually take some time for the PDF document to load in the browser. PDF Download für Firefox 2.2.0.2 can also convert the webpages on a website into PDF and it will include all the links. It will display the PDF file size so that you can decide whether or not to download it. In the Options, you can customize whether you want the PDF file to be launched in a new tab or window. You can control how your browser will deal with PDF documents. It supports a total of 19 different languages. PDF Download für Firefox 2.2.0.2 supports the SmartLinks feature which allows you to insert relevant links into the PDF document. You can disable the SmartLinks by going to the tools menu in the Firefox browser. PDF Download is compatible with Firefox browser starting from 1.5 – 3.5. It is also compatible with the Flock browser. PDF Download is a handy extension for people who regularly access web based PDF files such as journalists.